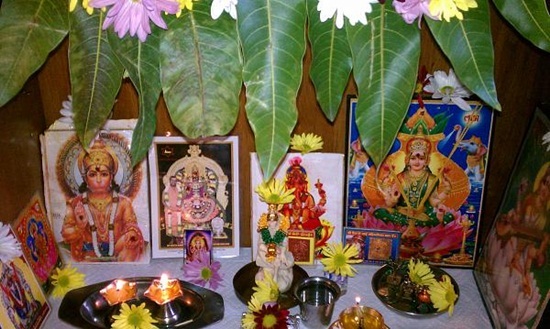 Ugadi is a festival of the Telugu-speaking populace in the states of South India. Ugadi is celebrated to welcome the Telugu New Year which ushers in a season of freshness and brightness before the colors of Holi entirely fade away. Nature brims with sprightliness when red flowers blossom and mango buds bloom heralding the arrival of New Year for South Indians. The festive ceremonies of Ugadi are observed in harmony with the joy and beauty of nature to mark the beginning of growth, affluence and prosperity for everyone. Ugadi comes with the fresh aroma of raw mangoes in the air. It defines the mood and color of the environment, which in turn impacts the festivity and celebration. Raw mango slices are among the ingredients of Ugadi Pachadi, a must-taste festive dish that is unique to the culinary culture of the Telugu people. The women in Telangana and Andhra Pradesh get busy making several different mango preparations including pickle as raw mangoes are available in plenty for two months – April and June. Atukulu Payasam, Boorelu, Bellam Garelu, Semiya Payasam, Rava pulihora, Pappu Pulusu, Vankaya batani, etc. 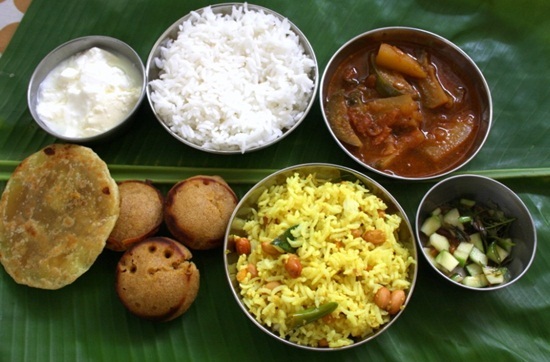 are some of the most popular Ugadi festival dishes, unique to the culinary culture of the Telugu people. 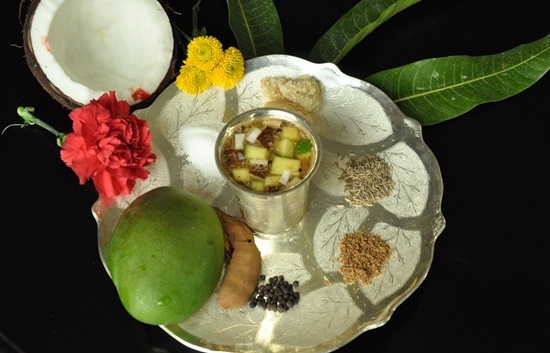 Ugadi Pachadi is not just an overtone of the festive celebration but also an integral part of the cultural tradition and a reference to the philosophy of life in the Telugu community. It is a dish of six different tastes and flavors – jaggery, raw mango, tamarind, neem flowers, salt and green chilli – that range from sweet to bitter. The ingredients of the dish symbolize the different phases and experiences of life that everyone undergoes during the journey from cradle to grave. Human life is a harmonious mix of verities including joy and sorrow just Ugadi Pachadi, a mix of different flavors. Ugadi Pachadi is known as Bevu Bella in Karnataka. The people wake up before sunrise. They start the Ugadi day with a holy oil bath early in the morning and wear new clothes. The women draw beautiful rangoli in form of floral designs, as an auspicious mark of the festivity, on the space just outside their homes. 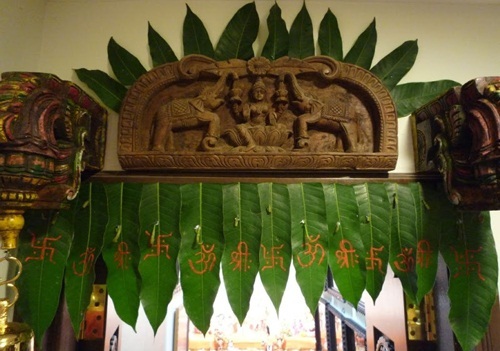 The main entrance, doors and windows of houses as well as shops are decorated with strings of fresh green mango leaves called thorana. According to a mythical legend stating that Lord Ganesh, god of wealth and prosperity, is fond of mango leaves, this tradition signifies good harvest and good health. The people visit temples to seek divine blessings for health, wealth, success and prosperity in the New Year. Travel Beats is an overseas Indian community portal by Indian Eagle Travel. It publishes latest visa, immigration and travel news, inspiring features and interesting community stories.